A career as an artist does not come with a pension plan. You need to think about how you will cope financially when you need to retire. How much state pension will you get (UK)? Artists and retirement - ​Do artists ever retire? Being an artist means no official retirement age. When you're self-employed you can carry on for as long as you are able. ​Some are tempted to think you'll be able to carry on working as an artist - and selling work - for a lot longer than may in fact be possible. So there is a need to consider how you can make provision for your retirement. A number of artists work well into old age - and do good work. Others have eyesight which fails, limbs which seize up and dexterity which eventually becomes poor. Do artists ever retire? | MaM - a summary in 2014 of what was being said online about artist retirement. a wish that some of the artists who have made it big would retire to give others a chance to sell their work! Do artists ever make provision for a pension? Most artists have no pension plan and are completely reliant on state support - or a spouse who has a pension plan. a belief that ignoring a problem might make it go away! Vermeer (1632-1675) His wife attributed his early death at age 42 to financial stress. He lived on the edge of poverty for most of his life and in the final year became burdened by a large loan taken out after very poor economic conditions stopped his patrons paying for his work. Hokusai (1760 – 1849) lived to a great age and produced most of his artwork after the age of 60. However in 1839, as his career was beginning to fade a fire destroyed most of the artwork in his studio. Van Gogh (1853-1890) His paintings might be worth a lot now but he only sold one painting during his lifetime, depended on his brother for funds and died penniless​ age 37. Various surveys reveal that very few artists have made provision for their pension. Only 16% of artists surveyed paid in to private pensions. Given that 50% of artists are self- employed this presents a significant question as to how professional artists will support themselves once they reach retirement age. It also showed that affordability is the key factor in whether artists save for their pensions, and that artists are twice as likely as the working population as a whole to earn under £10,000 a year. However, given that 50% of artists nowadays are self-employed and hence are the sole contributor to their own savings. This presents a significant challenge in creating an affordable, well-adopted scheme for visual and applied artists. ​However the situation in some countries is rather better. The chances are if you are self-employed you only started to think about pension planning very late in the day. The problem is that the later you leave it before you start to think about pensions, the bigger the contributions you have to make to create any sort of pension at all. Little wonder therefore that a number of artists think there's a lot to be said for having paid employment to support their art practice e.g. a regular job - such as being an art teacher. This then allows you to build up a pension pot in terms of employment related pension planning. Many artists simply use the proceeds from the sales of saved works to support themselves once they slow down or stop making art altogether. art collectors value the work of successful artists - even the early stuff! The Artist Pension Trust is a global organisation, owned and managed by Mutual Art as a mutual assurance scheme. 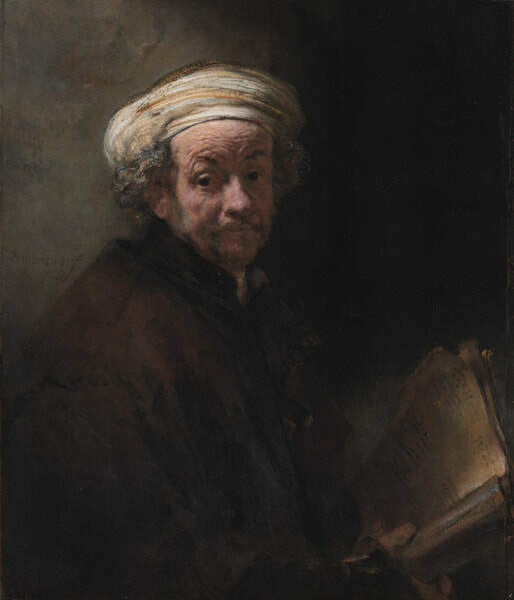 It is based on setting aside artworks in a Pension Trust so as to provide a stream of returns over the long term and spread the benefits of a rising reputation. This 2018 article Artists in battle over modern artwork pension fund paints a different picture and is about a legal "bust-up" at The Artists Pension Trust. There have been a lot of changes in the field of pensions in the last few years. Even those in jobs which are relatively secure face the prospect of having to work until they are very old to earn a pension which will be worth a lot less than might have been possible in the past for the somebody doing the same sort of job. Too many people have been promised a pension which isn't actually covered by the actual financial provision they have made. At the same time the returns on investment are at an all time low. Something has to to give and the reality is that the pensions available are now a lot less attractive than in the past. And that's how it is for people with jobs! For those who don't have an employer and don't get their pension pot topped up by employers' contributions, there is an even bigger problem. That's even before you get to the horrendous language and technical concepts you have to get to grips with when trying to make a decision about the best way forward. How much state pension will you get in the UK? If you have made no additional provision you will be entitled to a state pension if you have made no additional provision - and only then if you have made NI contributions. how much pension you can get from the State when you become eligible. Gaps in National Insurance: You can check any gaps in National Insurance Contributions you may have. Gaps affect how much state pension you get. 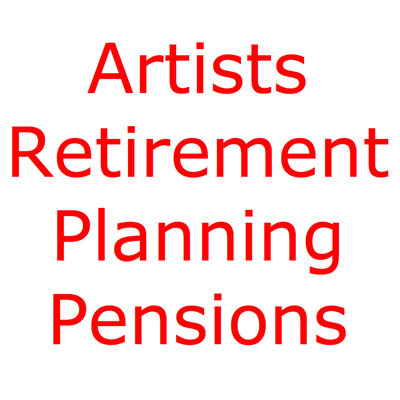 Visual Arts Ireland have a very useful page on Pensions for Artists with recommendations for an option artists can consider.